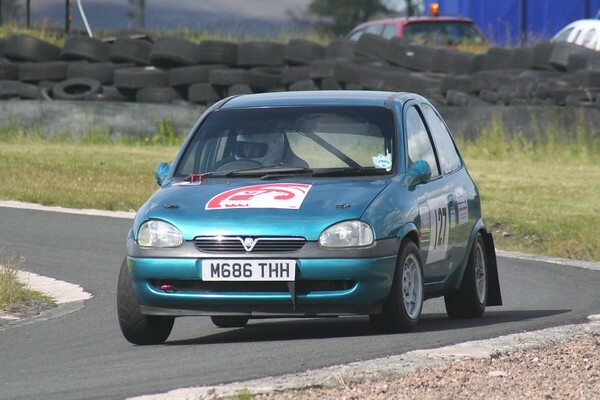 Hillclimbs and Sprints are one of the easiest ways of getting started in a competitive motorsport discipline which involves putting a crash helmet on and driving as fast as you can. Hillclimbs and Sprints, although different disciplines, run to the same regulations, both running on smooth tarmacadam surfaces. 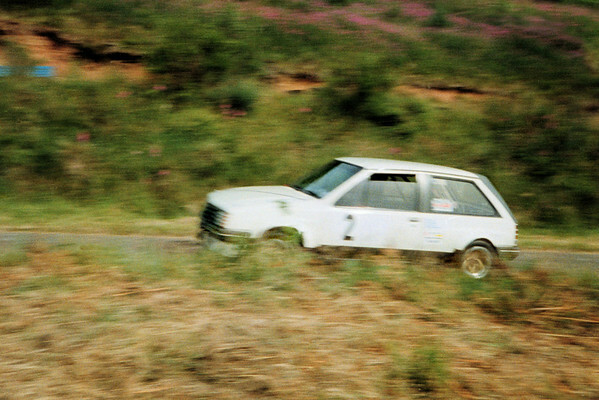 Hillclimbs use narrow uphill roads and Sprints tend to use wider race circuits and airfields. The objective of both is to get from the start to the finish as quickly as possible. The timing is by electronic beams which the competing car breaks on the start and finish lines and records a time to the hundredth of a second, so this means your driving has to be neat and tidy as most courses are between half a mile and a mile long. At most events you get two practice runs and then two timed runs with the best timed run counting in the results. Classes at most events cater for almost any car from, standard road cars, sports cars, kit cars, single-seater racing cars ,rally cars, etc. So long as they comply with basic MSA (Motor Sport Association) safety regulations. The minimum age for competing is 16years old and a car can be double entered so you can compete against a team mate for honors in the same car. Entry fees for events usually range from between £65 and £110 depending on the venue and status of event. 1. MSA. Competition licence. Minimum grade required is a Non-race National B. 2 MSA. Competition-car log book. J.2.1. This is your cars passport and is issued by an MSA scrutineer. They can be obtained at an event but it is best to get it beforehand, a photo of the car is also required. In some cases a Road legal car does not require one if it is taxed and has a MOT. 3. Race suit. Flame resistant to regulation K 9.1.2. 5. Gloves. Flame resistant K.14.3. 6. Timing strut. This is a piece of matt black plate attached to the forward most part of the car to activate the timing beam. S.10.9. 7. A competition seat and seat belts are compulsory in most classes and advisable even in standard road cars where the seat has to be fixed so as not to recline. 8. A 1 litre oil catch tank on the engine breather pipe. S.10.3.5. 2. Get your car scrutineered. Competition numbers on both doors. 3. Walk the course before practice starts. This is an MSA regulation. 4. Attend any driver’s briefing. The time has now come when your class is called. When you approach the start line there will be a designated area for spinning tyres to get heat into them. You then go up to the start line and the marshals will line the car up with start beam and hold it there, no need for the handbrake. In front of the start line will be a set of lights, these will be on red as you are lined up, then once the course is clear a green light will come on and this is your signal to go when you are ready. The clock does not start when the green light comes on but when you break the timing beam. Once you start your run the course will be clear unless the competitor ahead has failed to complete their run. In this case the marshals around the course will wave red flags and you should stop competing and wait for their instructions and you will get a rerun. All the technical regulations for Hillclimb and Sprint cars are in the MSA. Blue book and the requirements for licences, racesuits, crash helmets, etc, are also there and should be read before going out and buying anything. Here’s a list of Events and contacts. Events are held most weekends around the country from the end of March to the end of October with events from club to national level. The list of venues below are as a guide only to venues that are “local” to Spadeadam members. Event dates and regulations are usually available from the organizers web sites, some of which are listed below. Auldgirth South of Scotland C.C.